I bet you didn't know that Leaf (Nissan actually styles it in caps: LEAF) stands for Leading Environmentally-friendly Affordable Family car, and since the all-electric hatchback was launched in 2010 it has lived up to its name, certainly in global sales terms. Nissan took a big gamble to introduce a mass-market EV back when there were no others on sale and it has paid dividends. The Leaf, in case you missed it, takes the format of a five-door hatchback about the same size as a Volkswagen Golf. 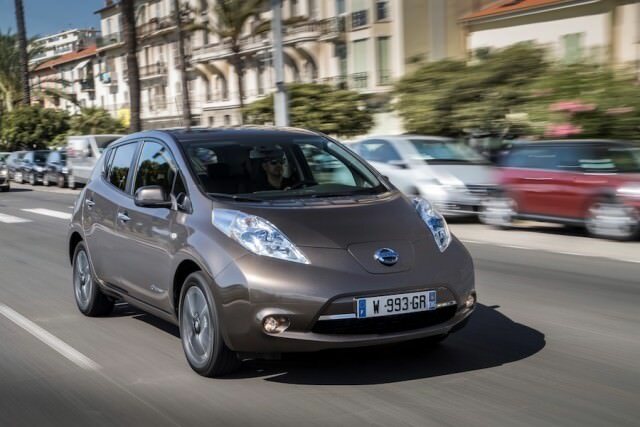 The earliest examples of the Nissan Leaf you'll find for sale were registered in 2012 and prices start from just under €10,000. All are automatic and powered by an electric motor, with the charge socket under the Nissan badge on the nose. While there are a few trim levels to look out for (e.g. SV, SVE, Tekna and Acenta), even the lowliest Leaf was very well-equipped as standard. Satnav, electric windows, air conditioning, etc. will be found on all, while others feature leather upholstery. One thing to watch out for, if your budget allows, is the higher capacity battery model, launched in mid-2016. This is referred to as the 30kWh car and it is certainly worth having, as it extends the range between charges. The 30kWh Leaf is, by far, the most desirable, but as it's so new, it still costs twice as much as a decent example from the start of production, so really, the best buy depends on how deep your pockets are. If an electric car appeals and you don't have budget for one of the latest models, a Nissan Leaf makes an excellent choice. Assuming you can live with the limited range between charges, it's a surprisingly normal car to drive and use every day. It comes with low maintenance and running costs too.